Nursing Home abuse is a part of general health care negligence as a whole. Nursing home abuse law deals with the civil, criminal, and regulatory standards for the unlawful treatment of elderly people by care facility staff and administrators. Although nursing homes or long-term care facilities are normally a very positive place for their patients, they can also be a place of negligent health care. Some factors that make up nursing home abuse are poorly qualified and inadequately trained staff, inadequate numbers of staff, the isolation of residents, and the repression of patients complaints. Abuse in a nursing home environment will take one of two forms. The first involves the condition of the facility. Generally speaking, the building and grounds must be safe, clean, and properly equipped. Residents must have access to nutritious meals, social services, recreational activities, medications, and onsite emergency care. Staff must be well-trained and present in sufficient numbers at all times. Finally, the home should be designed and maintained to prevent slip and falls – the leading cause of nursing home injuries. The second form of abuse involves the conduct of employees. Abuses of this kind may be physical, sexual, emotional, or financial. In some cases, visitors will notice lacerations, bruising, bed sores, dehydration, sudden weight gain or loss, sanitary concerns, or other such manifestations. Other times the results of abuse or neglect will be less obvious. The victim may simply appear depressed or withdrawn. When visiting a loved one, be sure to ask questions, check financial records, and investigate suspicious circumstances. 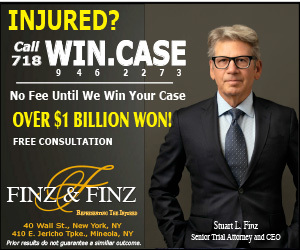 These are very serious issues and if you, or a loved one has been a victim, contact a New York Injury attorney specializing in this field immediately.